Penrith is a suburb and major centre in the metropolitan area of Sydney, New South Wales, Australia. Museum of Fire and Penrith Museum of Printing are good opportunities to explore the local culture. Visiting Featherdale Wildlife Park and Cattai National Park will get you outdoors. Take a break from Penrith with a short trip to Burragorang Lookout in Camden, about 1h 05 min away. And it doesn't end there: get your game on at iFLY Downunder, stop by Duck In, and take some stellar pictures from The Rock Lookout. To see maps, reviews, more things to do, and other tourist information, read Penrith day trip tool . Vienna, Austria to Penrith is an approximately 27-hour flight. The time zone difference moving from Central European Time (CET) to Australian Eastern Standard Time (New South Wales) (AEST) is 9 hours. Plan for little chillier nights when traveling from Vienna in September since evenings lows in Penrith dip to 9°C. Cap off your sightseeing on the 19th (Thu) early enough to go by car to Cronulla. Escape the urban bustle at Cronulla Beach Walk and Heathcote National Park. Deepen your sense of the past at sights like Holy Family Catholic Church and Wat Pa Buddharangsee. Change things up with a short trip to Campbelltown Arts Centre in Campbelltown (about 56 minutes away). To find reviews, more things to do, traveler tips, and more tourist information, read our Cronulla trip planner . Traveling by car from Penrith to Cronulla takes 1.5 hours. Traveling from Penrith in September, you can expect nighttime temperatures to be a bit warmer in Cronulla, with lows of 14°C. Finish your sightseeing early on the 22nd (Sun) to allow enough time to drive to Manly. Barrenjoey Lighthouse and The Baha'i Temple are good opportunities to explore the local culture. Get some historical perspective at Baha'i House of Worship and Manly Quarantine Station. Change things up with these side-trips from Manly: Palm Beach (in Palm Beach), Whale Beach (in Whale Beach) and Rose Seidler House (in Wahroonga). Spend the 25th (Wed) exploring nature at Sydney Harbour National Park. Spend the 27th (Fri) exploring nature at Berowra Valley National Park. There's lots more to do: enjoy the sand and surf at Balmoral Beach, Mosman, look for all kinds of wild species at North Head Sanctuary, explore the galleries of Aboriginal Fine Art and Craft, and take in the exciting artwork at Joel Coleman Gallery. To find other places to visit, ratings, where to stay, and other tourist information, use the Manly online trip itinerary planner . Traveling by car from Cronulla to Manly takes 1.5 hours. In September, daily temperatures in Manly can reach 25°C, while at night they dip to 14°C. Finish up your sightseeing early on the 29th (Sun) so you can travel to Melbourne. Art Gallery of Ballarat and Melbourne Museum are good opportunities to explore the local culture. Your itinerary includes some good beach time at Eastern Beach Reserve and Bells Beach. 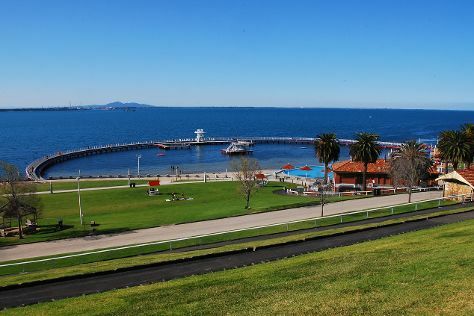 You'll find plenty of places to visit near Melbourne: Ballarat (Ballarat Wildlife Park, Sovereign Hill, & more), Split Point Lighthouse (in Aireys Inlet) and Point Lonsdale Lighthouse (in Point Lonsdale). Spend the 12th (Sat) exploring nature at Castlemaine Diggings National Heritage Park. Dedicate the 10th (Thu) to wine at some of the top wineries in the area. And it doesn't end there: learn about all things military at Shrine of Remembrance, take in the awesome beauty at Dandenong Ranges National Park, admire the masterpieces at National Gallery of Victoria, and take in the exciting artwork at Bruno's Art and Sculpture Garden. For photos, traveler tips, more things to do, and more tourist information, go to the Melbourne trip planner. Do a combination of ferry and flight from Manly to Melbourne in 4 hours. Alternatively, you can drive; or do a combination of ferry and train. Plan for slightly colder temperatures traveling from Manly in September, with highs in Melbourne at 20°C and lows at 7°C. Finish your sightseeing early on the 13th (Sun) to allow enough time to travel to Adelaide. 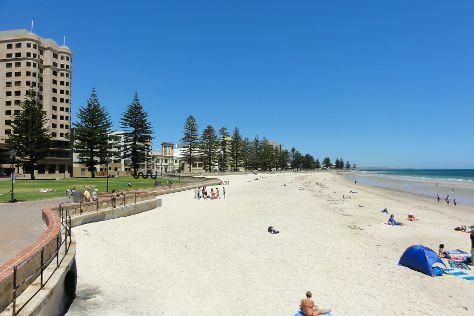 Visit Glenelg Beach and Aldinga Beach for some beach relaxation. Deepen your sense of the past at sights like Langmeil Winery and The Wellington Courthouse. Get out of town with these interesting Adelaide side-trips: Johnston Oakbank Cellar Door (in Oakbank), Hahndorf (The Cedars, Beerenberg Farm, & more) and Tanunda (Peter Lehmann Wines, Chateau Tanunda, & more). There's still lots to do: step off the mainland to explore Granite Island, steep yourself in history at Carrick Hill, get to know the resident critters at Monarto Zoo, and examine the collection at National Motor Museum. To see photos, ratings, where to stay, and other tourist information, read Adelaide online trip itinerary maker . Fly from Melbourne to Adelaide in 3.5 hours. Alternatively, you can drive; or take a train. In October, daily temperatures in Adelaide can reach 26°C, while at night they dip to 13°C. Finish your sightseeing early on the 28th (Mon) so you can travel to Perth. Take a break from the city and head to Scarborough Beach and Rockingham Beach. Museum-lovers will appreciate The Shipwreck Galleries and Western Australian Maritime Museum. 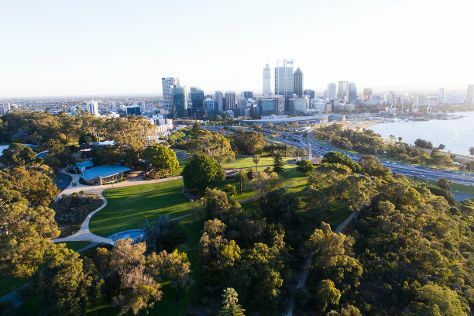 You'll find plenty of places to visit near Perth: Fremantle (Fremantle Prison, The Artisan Store Fremantle, & more), Harvey Internment Camp Memorial Shrine (in Harvey) and Old Blythewood (in Pinjarra). Spend the 8th (Fri) exploring nature at Len Howard Conservation Park. Dedicate the 6th (Wed) to wine at some of the top wineries in the area. There's lots more to do: admire the masterpieces at New Norcia Museum & Art Gallery, steep yourself in history at The Perth Mint, take in the spiritual surroundings of St. Mary's Cathedral, and admire the natural beauty at Kings Park & Botanic Garden. To see more things to do, where to stay, other places to visit, and tourist information, go to the Perth trip itinerary maker tool . Traveling by flight from Adelaide to Perth takes 5.5 hours. Alternatively, you can take a train; or drive. Traveling from Adelaide to Perth, you'll gain 1 hour due to the time zone difference. In October, daytime highs in Perth are 28°C, while nighttime lows are 12°C. Wrap up your sightseeing on the 8th (Fri) to allow time to travel back home.